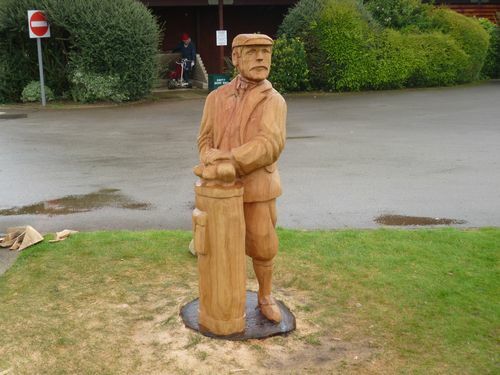 This chainsaw sculpture is just over six feet tall and represents Alister Mackenzie, a golf course designer from the early 1900's, who designed Hazel Grove Golf Course. He is looking down the 18th Fairway from the Clubhouse. He was sculpted from a log of oak which was installed in the ground.